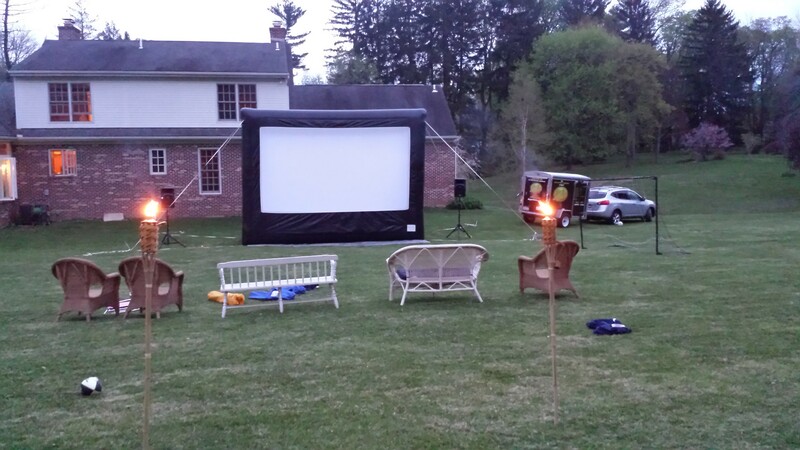 This front projection inflatable screen gives you theatre quality picture and sound without the large footprint of our commercial systems. In addition to movies, the system can project video games, laptop computers, and cable or satellite TV. The system can be used in the backyard, by the pool, at the park, at the beach, indoors in a rental hall or gymnasium, and just about anywhere else!